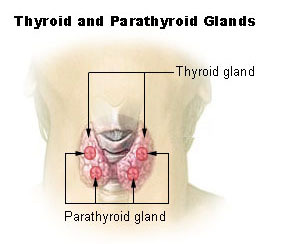 The thyroid gland is a butterfly-shaped gland present in the neck. It produces two hormones T3 (triiodothyronine) and T4 (thyroxine). The thyroid gland is a very important gland with wide-ranging effects on the body. Its major function is in increasing the metabolic rate of the body. The secretions of the thyroid gland are controlled by the secretions of the hypothalamus and pituitary glands (the hypothalamic-pituitary axis). There can be two abnormalities in the secretions of the thyroid gland one can face. Either the thyroid gland is producing too little secretions (termed as hypothyroidism) or the thyroid gland is producing too much secretion (termed as hyperthyroidism). Both these conditions have adverse effects on the body and the menstrual cycle. A normal functioning thyroid gland is vital for a normal menstrual cycle. Both abnormal conditions of the thyroid gland, hypothyroidism, and hyperthyroidism, can affect the menstrual cycle and make it abnormal. As already mentioned, hypothyroidism is the condition in which the thyroid gland is producing insufficient secretions. It may occur due to iodine deficiency, at a late stage in the inflammation of the thyroid gland or after the thyroid gland is surgically removed (eg. in case of a tumor in the thyroid gland). Hypothyroidism may affect the menstrual cycle in a variety of ways. Its effects range from heavy frequent menstrual bleeding to even absent menstrual bleeding. Hypothyroidism may cause early menstruation. The average age of puberty is 12 years. Reaching puberty before 10 years of age is called precocious puberty. Hypothyroidism is a cause of precocious puberty i.e periods at an earlier age than normal. Menstrual flow with blood clots that are as big as a quarter or larger. So if you consult your doctor with these symptoms, he will get your thyroid levels done as hypothyroidism is a cause of heavy menstrual bleeding. Hypothyroidism may cause periods to become more frequent. This condition is known as polymenorrhea. 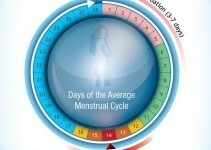 For example, you may find that your period comes every 21 days, for example, instead of the average 28-day cycle. Hypothyroidism may also cause a missed period and or it may lead to infrequent and irregular periods. You may also bleed very lightly and for fewer days than normal. This is called oligomenorrhea. This is also seen in some cases of hyperthyroidism. Hyperthyroidism is a condition in which thyroid gland is producing too many secretions. You may experience symptoms like heat intolerance, tremors in hand and a fast heartbeat (tachycardia). This condition may occur due to an autonomously secreting nodule in the gland or a functioning benign tumor. It also occurs in the early stages in the inflammation of the thyroid gland. It may have the following effects on the menstrual cycle. Like hypothyroidism may lead to precocious puberty, hyperthyroidism may cause delayed puberty. Puberty is called delayed if a girl does not start her menstrual periods by 15 years of age. Hyperthyroidism may cause bleeding in the menstrual cycle to be lighter than usual. For example, if she normally uses 2 pads per day, she will have to use just one pad per day. Hyperthyroidism may cause the duration of the bleeding days to be shorter. For example, say a woman the bleeding phase of a woman lasted for 6 days normally (the duration of these days is different for different women). Hypothyroidism may reduce this duration from 6 days to 3 days. Hypothyroidism may cause missed periods. The periods may not occur regularly. They start to occur sporadically. Their duration keeps varying. Like one period is of 40 days, the next can be of 60 days etc. This is called oligomenorrhea. This can be caused by both hypothyroidism and hyperthyroidism. Hyperthyroidism may cause the complete absence of the menstrual periods. The woman will stop bleeding altogether. This is called amenorrhea. Anovulation means the failure to release an egg. If you are not releasing an egg, you can not become pregnant. The luteal phase is the time period between the ovulation (release of the egg) and when the bleeding starts. You need a luteal phase of around 14 days, this allows a fertilized egg enough time to successfully implant and develop. If your luteal phase is too short, a fertilized egg may end up being expelled during your menstrual period, making it unable to implant in the uterus even if it gets fertilized. So if you are having any abnormality in your normal menstrual period, see your doctor. You might be facing a thyroid issue. Ten Teachers Gynaecology 20th edition.